If one were to go to any upmarket locality in a metro with its high-rises, one can’t hear the full-throated cries and laughter of children as they played random games. It makes me wonder, what has happened to all the games that children played with gay abandon and loads of fun – as recently as a quarter century ago. They seem to have literally vanished, at least from the face of urban India and especially the metros with their space crunch and lack of playgrounds. I am not talking of the sports like tennis and badminton or swimming that require special kits and equipment and where the children are taught the rules and the techniques of the said sport. So we have these kids, in their best sports gear being chaperoned to sundry courts and pools. That is, if they take up any sports at all, busy as they are with their studies and smartphones. How many of them would take to serious sports is anyone’s guess. But what they are missing in the meanwhile, without even being aware of it, is the fun of random games played with friends accompanied by shouts of laughter, that kids enjoyed back then. Come evening and the children of all sizes would be out in the lanes and streets calling out to each other to come out. For the next few hours the streets would resound with the laughter and shouting of children. Homework could wait! Tuitions were of course, unheard of. We played anywhere we could find some running space – on the streets, vacant lots, even the terraces. Of course, traffic was sparse back then – just the odd scooter or car – only lots of bicycles, with the riders and players adept at dodging the other while a game was in progress! All we needed were loads of enthusiasm, energy and lung-power that provided the maximum enjoyment, good health and fun. The best thing was that there was no need for special and expensive equipment or sportswear, including shoes. Many of us played barefoot. We played badminton and tennis across a length of rope strung between two hooks or whatever we could fasten them to. We begged and borrowed the shuttles and balls, some of which would present a sorry sight! Cricket needed just a bat, a ball and some sticks for the stumps. If sticks were unavailable, three stones or bricks did the duty. The runner would walk across the pitch and take the bat from the batsman. If there were not enough players, we didn’t even have a runner. Present day umpires with all their hi-tech slow-motion replays and such, could have taken a lesson or two from those little arbitrators for being fair while judging the dismissals based on nothing but their eyesight and commonsense that told them if the ball had touched one of the ‘stumps’ or gone through it. There were random activities like climbing trees, racing each other to the end of the street, bouncing a ball without losing the rhythm, even throwing a ball against a wall and catching it. Some kids played with cycle tyres, making them roll with a stick. Oh, the number of these games was endless. 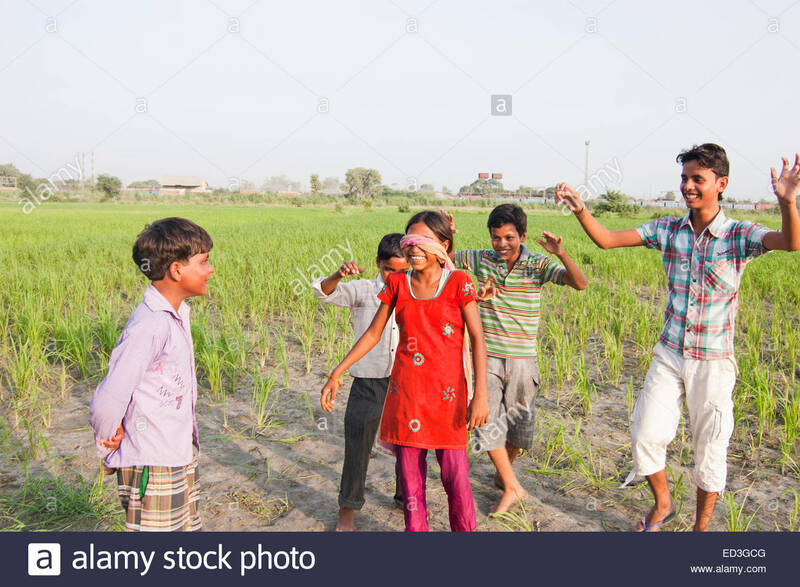 Gilli–danda, lagori, kho-kho, chor-police, kancha, langdi tang, I spy, tag (which has different names in different regions of India, like pakdam pakdi, catch-catch and so on), rope skipping….and indoor games like telephone, word building, word ending, snakes and ladders, and my perennial favourite — name, place, animal and thing, among many others. And there were the ubiquitous cricket and football. The British influence still lingered in the games we played, nearly 20 years after they had left India. Our games had English names and though there were regional variations, many of us played the former versions of the games. Now this posed a bit of a problem. The names of some of these games were really a mystery, some of them even sounding weird. This was partly because many of us didn’t know how to pronounce the English words and partly because we pronounced them just as we heard them! You can imagine the hilarious distortions we came up with. Often, none of the terms we used while playing these firangi games made any sense or even described the game, but who cared? The main thing was that we were having fun, and loads of it! ‘I Spy’, the videshi version of chor-police became anything from Ice pies, to I Spies to Ice Boy (!!!). Not having started reading Enid Blyton, with her descriptions of all those yummy pies, I used to think it was some sort of ice cream! Be-quick, the game we girls played, sometimes became ‘weak-weak’ or ‘beak-beak’ (!!!) ‘Oranges or lemons’ became ‘Orange is a lemon’ and sometimes ‘oranges are lemons’ (!!!). We had boys’ and girls’ games. 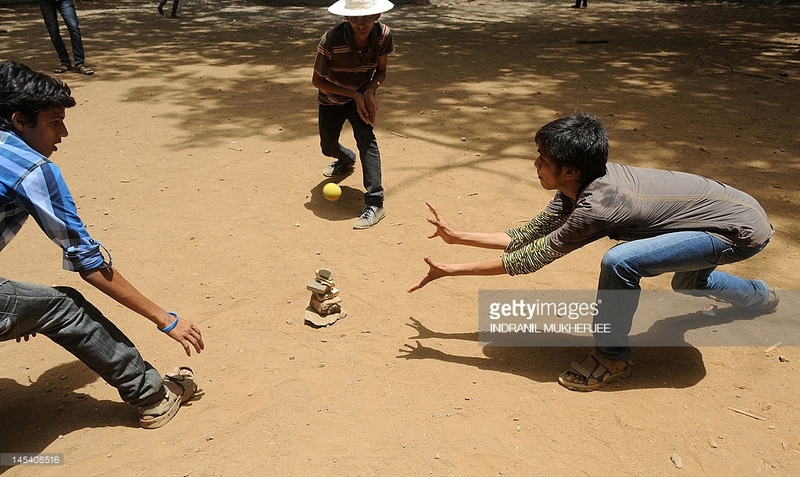 Gulli-danda for instance, was a boys’ game, but many of the girls insisted on playing it and were a darned sight better it than some of the boys! Langdi tang and tikkar billa (hopscotch) were girls’ games and no boy would be caught dead playing them! 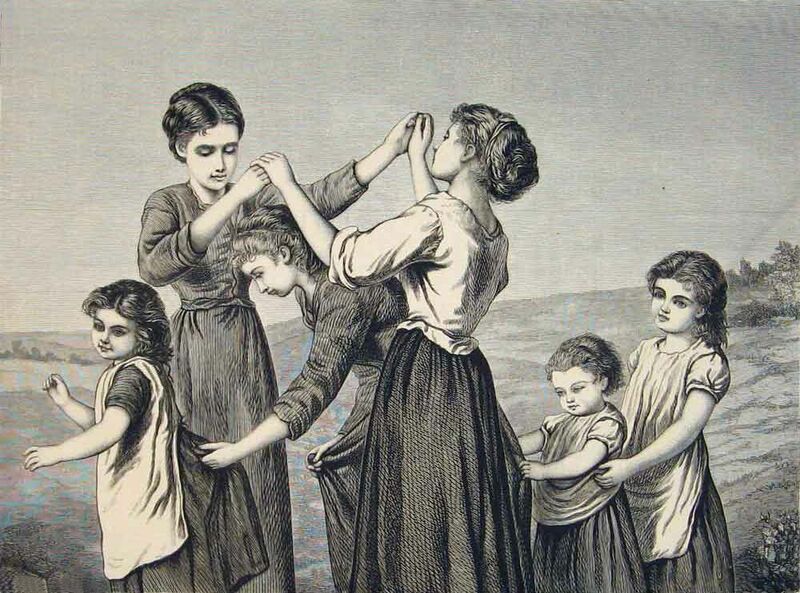 But there were also mixed games and these were a natural and healthy way for boys and girls to interact, especially since it was not so common for them to mingle freely. We had a lot of indoor games too – many of them played needing nothing more than our wits, like Telephone, Word Ending, Word Building, Antakshari, dumb charades and more. Then we had traditional board games like dayakattai (pachisi), which could be drawn on the floor with a bit of wet chalk. Some of us also had store-bought board games like Ludo, Snakes and Ladders, Carrom and Chess. If we had an especially well-to-do friend, we also had access to Monopoly! There was not one moment of boredom, even during the long sweltering summer months. Our games used to change with the seasons too. There were no set rules or time periods when certain games were played, as in say, if-it-is-June-we-play-cricket kind of thing. But somehow, as if on cue, the games changed when the season changed. 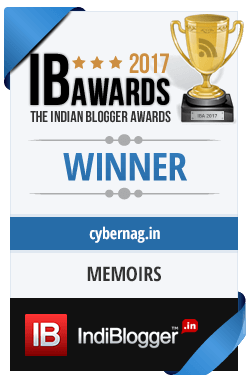 One day the kids would be playing cricket and the next thing you know, the gulli–dandas would be out, or kites of all shapes and hues would be flying in the sky, or kanchas would be tossed around. And this change happened right across the city. Was there an underground wire-service announcing the changeover from the next morning? It would certainly seem so. No one would think of playing something out of season. Thinking back, I am as amazed at this phenomenon, as I had been back then. These are just some of the games I had played as a kid. 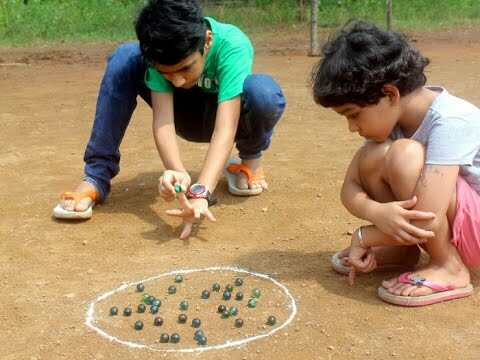 More games had got added during the time of my children, especially since we had shifted to Delhi by that time. I am sure there are hundreds of other games with regional variations, still being played in smaller towns and rural India. The best thing about these indigenous games was that they not only kept us engaged, but also gave us valuable life lessons – of pulling together, working as a team, allowing a weaker opponent steal a point without making them aware of it, sharing….They also helped us plan, strategise, think a problem through, anticipate the opponent’s next move and so on – while when we were having loads of fun. Likewise, outdoor games helped build our stamina, worked off the excess energy that children have an abundance of, and keep out of the hair of elders at home, especially during long summer holidays! 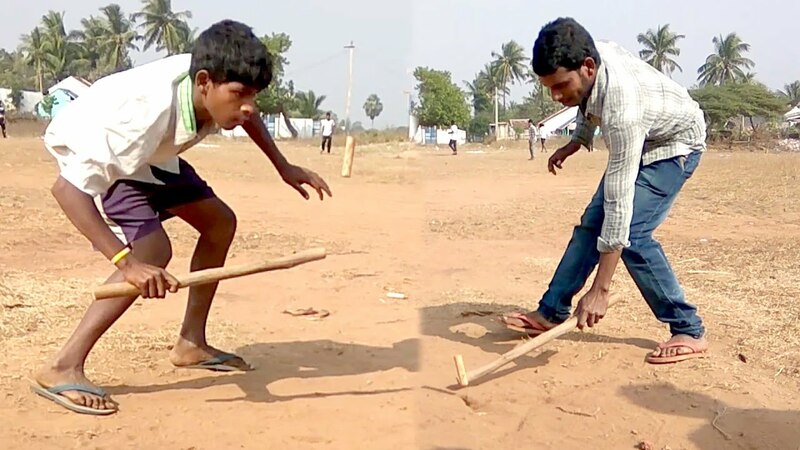 Thankfully children in rural areas still know the joys of simple games. 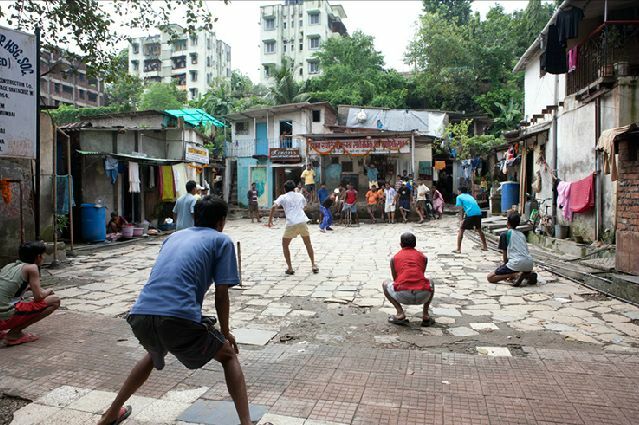 Even in the metros, there are some neighbourhoods where children still play these old-fashioned games. It delights me no end to see them. For instance, the children in my society play this game called Ghost in the graveyard – a variation of chor-police, with the ghost replacing the chor. It brings a smile to my lips to hear the kids screaming out the time: ‘1 o’clock…2 o’clock…’ all through till midnight, before going in search of the ghost. They squeal and scream their little heads off once they find the ‘ghost’ — as if it were a real one! Today, cricket is perhaps the only game that has survived the onslaught of the virtual games and organised sports. It is good to see that ‘gully cricket’ (gully = street) is still popular in pockets of the metros and cities across the country, in almost the same form it used be played back then. Recently the Master Blaster Sachin had reportedly stopped his car as he passed a group of kids playing gully cricket and joined them – no doubt nostalgic about his own childhood days playing the game! Stay tuned for more on this topic! And do share your own memories of the games you had played as kids. 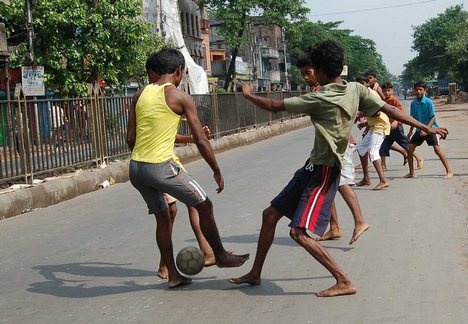 All I would say is- today’s kids, specially those living in the cities, are missing out on a lot of fun! Thank you Manju! Where are you these days? Miss you!